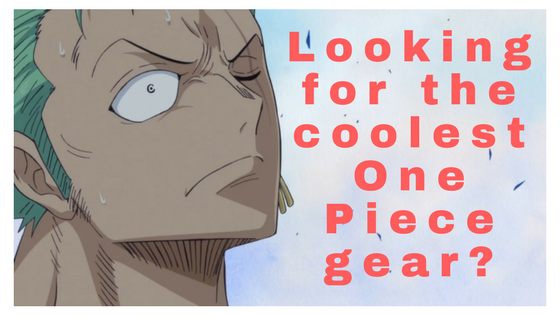 In our latest post we explored all the best places someone can watch the anime of One Piece. So, it’s only logical that we follow up with a comprehensive guide about manga lovers.I suppose that most people here actually read the mangas since they must have finished the anime. After all, the site has to do with theories about One Piece :P. I’m certain most of you must be more interested in where to read One Piece manga. So, without further ado, let’s start with our handpicked recommendations. The easiest way to go about, is of course the different sites that offer online viewing of manga in English for free. I’ll briefly mention and give you links to some of the best choices that exist out there. One of the most popular sites that offers 1000s of manga titles translated in English is mangareader. Except reading the mangas you love online, the site offers you the ability to download any title you want right to your desktop. Anyone interested in reading One Piece manga offline or when you don’t have access to an internet connection, should definitely check it out. Also, you can browse the most popular manga that are out there. As well as that, you can checck out the latest releases and view the most recently updated manga. Another really popular website for reading manga online is mangafox. Its interface and the very clean and organized way its layout is designed are the strong points of the site. A useful tool if you want to browse anime according to their star ratings is the manga directory. Do you find it difficult to understand the way the story of a manga unfolds? Or do you just want a quick overview of a manga you are interested in? The descriptions provided in the site can help clear the clouds in your mind. A similar website to the others mentioned above. With a huge collection of manga and a really nice design, it certainly is a viable choice for you to read your One Piece manga. What’s special here? Well, you can register and become a member of the site for free. This gives you the ability to track your favorite manga, categorise them as you see fit and receive notifications regarding the latest chapters. One more site similar to the others mentioned above. The interesting feature here is that anyone can contribute by uploading manga chapters themselves. That way, the site has built a really active community which is awesome. Like we did in the post about watching One Piece, it is quite important for us to suggest places that someone can read One Piece manga that are properly licensed. So, where can someone do just that? A website we have already reviewed and there is no reason to say a lot. In crunchyroll you can watch one piece and several other anime. However, it is possible for someone to read their favorite manga here as well. 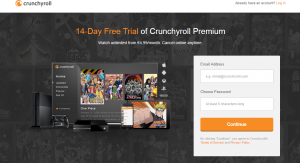 Check out our review of crunchyroll if you are considering a subscription website that has everything you need all in one place. The site allows you to read manga in many differents ways, such as Kindle, Nook, Google Play, iBook or the yenpress app. Its downside is that it is foccused around people from North America and not all regions worldwide. A company recently acquired by Amazon, comixology provides the user with numerous comics from dc, marvel and whatnot, and of course the focus of this post, which is manga, to read. Also, if you are the creative type, you can submit your own comics or manga in the comixology store for them to promote them. You’ll just sit back and reap the rewards. For our review on the best way to learn how to draw manga check here. It is really important i believe to mention some Japanese websites as well. Anyone who wants to read the original mangas or maybe practice their Japanese skills can certainly refer to the following sites. Polaris comics is the go to place for shoujo manga. A huge variety of them can be found here. (for anyone not familiar with japanese terms, shoujo is related to young girls, so that’s where the manga found here are centered). I don’t want to sound sexist, so i do have an option for the boys here. 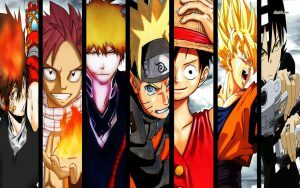 The equivalent for young males is called shounen as many of you probably already know, and most titles here are centered around the shounen category. However, most of the manga here can certainly interest both sexes. I may sound repetitive, but real life manga couldn’t be ommited from this guide for it to be complete. You can’t really get the ultimate satisfaction, without having the real thing in your hands. The artwork, the colors, even the smell of the paper contribute to the experience. The place to find all the different one piece manga chapters is none other than amazon. Whatever you want to satisfy your otaku hunger can be found here, and the One Piece manga chapters are not an exception. So there you have it. All the possible ways someone can read One Piece manga chapters and manga in general. Just want to sit back and relax reading online without paying a dime? You have it. Prefer to be on the legal side and also support the creators of manga? It’s here. More of a classic guy or a collector? The option is here for you too. Do you want to make a revision in your japanese? Now its easier than ever. Do you want to learn japanese in an unconventional way? Start reading manga in the japanese sites we mentioned and achieve your dream of learning japanese all from the comfort of your pc :P.
Hi Antonis, Thank you for providing this thorough and comprehensive post. I’ve heard of chrunchyroll, I was wondering if besides, be able to watch anime and read manga, do they sell products like Amazon does? If they do, which offers the better price? I do think they have a web store. However, their main aim is the subscription which provides anime to watch and manga to read as the main features. Previous Previous post: Watch One Piece – What is the best place? Next Next post: One Piece Nico Robin – Could Kuma be her father?